Meet our New Authors! | Mrs. Anton's Class! 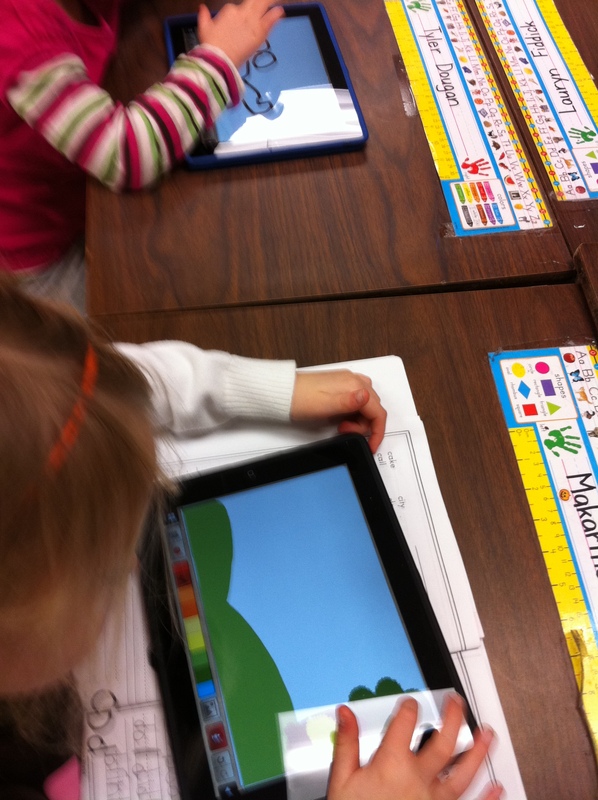 ← Reading, Writing, and Arithmetic Ipad Style! Today I introduced a new story writing app to the class and I have to say it was awesome! The app is called My Story. 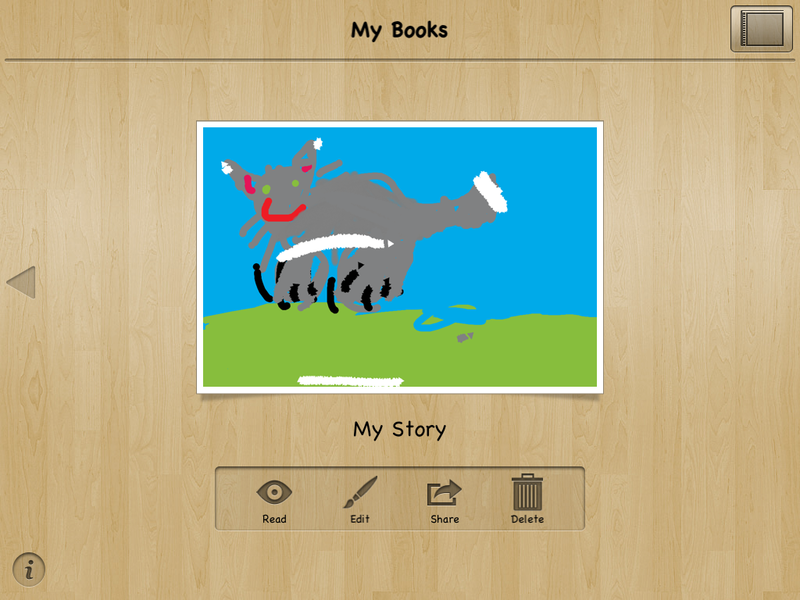 This app allows the children to draw pictures for each page, add text to the picture, and then record themselves reading the text on the page. Too cool! There is also the option to take a picture with the ipad or import a picture to use. When it is complete you can choose an option to read your book. But that’s not all! You also have the option to email the book to someone or export it to your iBook library. It comes up as a real book on your digital bookshelf! Too much fun! I had played around with it at home and created a little book for a demo. I showed the students my little book and then showed them how to create their own. Well! Off they went! The pictures are amazing! 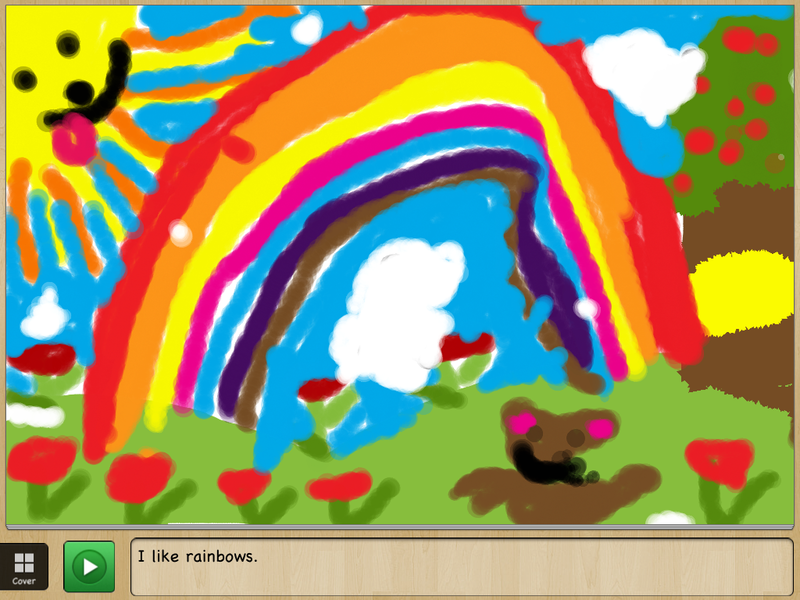 I love the drawings on the ipads because they are so vibrant! For some reason, the children really go the extra mile on their pictures when they draw on the ipad and are often willing to make numerous revisions of their work. Take a look at this picture! They wrote their own sentences to go with the pictures with a little help from their dictionaries and some key words on the whiteboard. Not bad for a first effort. Their little voices narrating their stories is the icing on the cake. 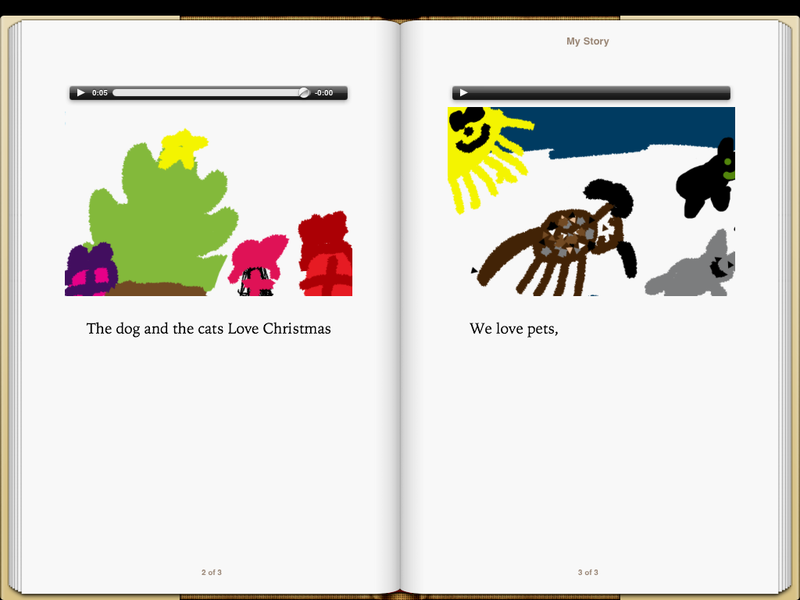 The completed stories were saved to the iBook library. For some reason I was not able to email the stories today but I was able to email my story to myself at home so I imagine it is a little glitch that I will have to overcome at school. Hopefully I will be able to email you a copy of one of your child’s books soon! When the children had completed their stories we put them up on the big screen for everyone to see and hear! Love the projectors we have in the classrooms now. Just a great way to share work! I have to say that their books were much, much better than mine! Can’t wait to see what they create next time!